Browse their full selection of books at boydsmillspress.com. 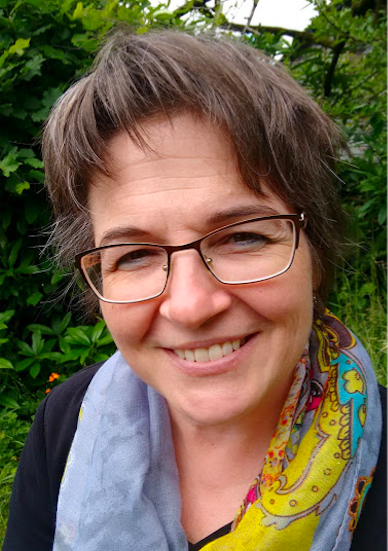 Rebecca has been editing children’s books for more than twenty years, including approximately six years each at Greenwillow Books and Simon & Schuster Books for Young Readers. She has worked with numerous poets, including Lee Bennett Hopkins, Jane Yolen, Rebecca Kai Dotlich, Nikki Grimes, and J. Patrick Lewis. 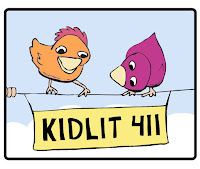 I met Rebecca at an SCBWI workshop earlier this year, where she took part in a stellar panel with Lee Bennett Hopkins and novelist Madeleine Kuderick, discussing children's poetry and novels-in-verse. I found her to be kind, approachable, knowledgeable, down-to-earth, passionate about what she does, and basically, someone I'd love to share coffee with at my kitchen table. I suspect you'll also pick up on many of these qualities in today's interview. 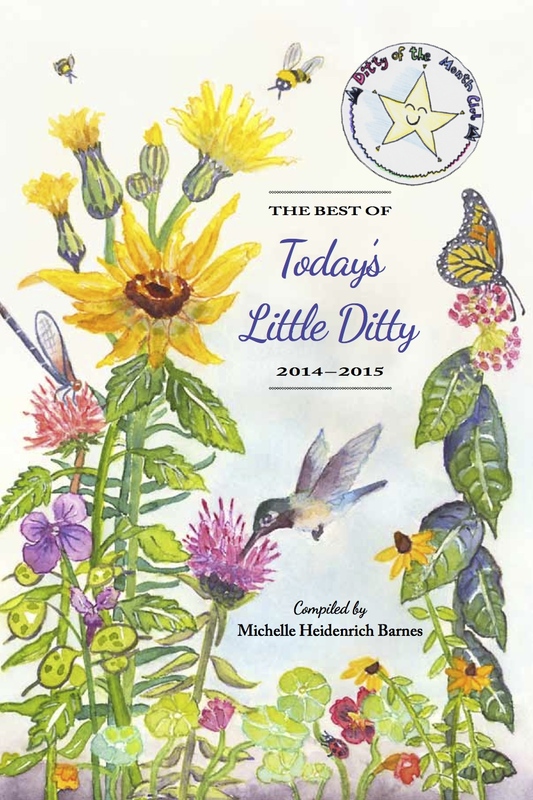 Not only will we get to know Rebecca and what her very busy job entails, but since it's nearing the end of 2015, I thought it would be fun to take a look back at a few of this year's fabulous offerings from Boyds Mills Press and Wordsong, and get a peek at what's coming up for 2016. It's a jam-packed interview, so let's get started. Favorite music: Classical music; I especially love Bach. Favorite childhood memory: When I was about eight, I began sleeping with whatever book I was reading, instead of with any particular doll or stuffed animal. Books gave me comfort, and I loved to read them and then to have my hand resting on one as I drifted into sleep. Children’s publishing was not the career path you originally envisioned for yourself. When your first publishing job offer happened to be with a children’s book agent, you took it and never looked back. What made you fall in love with children’s books? What about poetry? Have you always had an interest in poetry or is it something you’ve grown to appreciate over time? I love a story in which characters change and grow. Children are constantly maturing and learning new things. So in great children’s stories, the characters usually do grow and change—and that’s both exciting and satisfying for me as a reader. 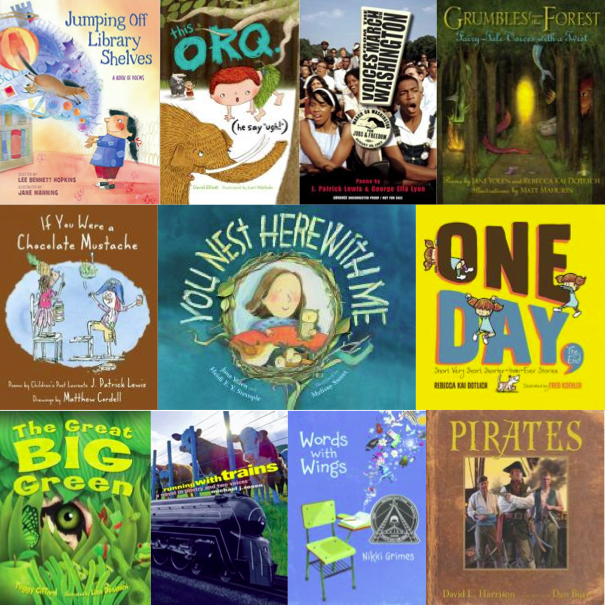 When I started reading children’s books for work, I loved the middle grade and young adult novels, because of that character growth, but also because there was so much that I, in my early twenties, identified with in them. The early twenties are also a time when you’re trying to sort out who you are, what’s important to you, and what sort of life you want. You’re grappling with some of the coming-of-age issues that tweens and teens are. So I saw myself reflected in these books, and I loved the ways in which they made me think—and I wished I’d read more such books when I’d been a kid. Meanwhile I fell in love with the picture books because I loved the art, and I loved the relationship between art and text in them. As for poetry, like all too many people, I got the impression from the way that poetry was taught in school that it was hard, dense, challenging, and a test of wits. I therefore didn’t think I liked it. I did come across poets that I loved, like Walt Whitman, but I thought I liked those individual poets, not poetry. 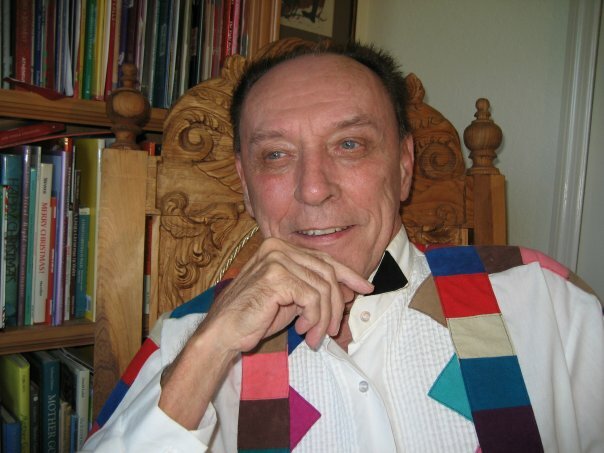 As an Assistant Editor at Simon & Schuster Books for Young Readers, I was lucky enough to get to work with Lee Bennett Hopkins, and it was through working with him—through seeing what he did in his books and loving it—that I began to realize that, in fact, I adored poetry and always had. 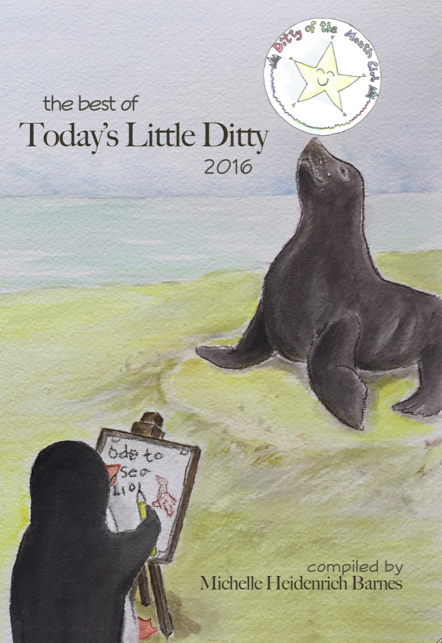 Poetry for children can be playful, magical, full of a sense of wonder at the world. Because it’s so compact and vivid, poetry can also be a particularly powerful and emotionally intense form of writing, and emotion is important to me in writing. Poetry is all heart—not an intellectual challenge and an intimidating test of wits, as I’d once thought. And poetry is best read and savored, not pulled apart and analyzed. Would you share a poem that is near and dear to your own heart? The job of an editor is to help get a book into publishable form, but I suspect there’s much more to it than that. Particularly when juggling two imprints. How would you describe what you do? Boiled down to its core, my job is probably made up of: reading, writing, thinking, and planning. I read manuscript submissions and think about whether they work or not and about whether I am in love with them enough to want to work on them. I write rejection letters for many; for some I may write a letter asking the author to consider revising. When a manuscript that I love is ready, I fill out forms and write about it, then I present it at an Editorial Meeting to discuss whether or not we believe we can successfully publish it. If we decide to publish it, I make our offer to the author or agent. Once an offer is accepted I request a contract. When the contract is ready, I review it. And I begin the revision process with the author. I read the manuscript many times, ponder it, fall in love all over again with its strengths, and write to the author on the manuscript and/or in a letter about those strengths and also about the areas in which I think it could be improved. Sometimes a manuscript is ready after one revision; more often we go through the process several times. When the manuscript is ready, if it’s a picture book, I search for an illustrator. Sometimes a certain illustrator comes to mind for a manuscript immediately. Other times, I search through websites and samples and my bookshelves to find the right illustrator. I write a letter and send the manuscript to the illustrator and/or the illustrator’s agent. Then we wait. Finding the right illustrator is like searching for the right editor. You want to find one who will fall in love with the project. The writer, illustrator, and editor all have to adore the manuscript, because we will all be living with it, working on it, reading and re-reading it for so long. Sometimes the first illustrator you send the manuscript to says “yes,” but often you have to keep on searching. Sometimes it’s the sixth or even the seventh illustrator who says “yes,” but that’s okay, because that’s the illustrator who loved it and who will make it the best book. The manuscript is copyedited; I think about the copyeditor’s comments, then send the copyedited manuscript to the author with my thoughts. The copyediting process may be quick, or if there are a lot of queries and some rewriting, the author and I may discuss the issues and send the manuscript back and forth a few times. The final copyedited manuscript is set by a designer. If there are no illustrations, the designer will search for a jacket artist, and we’ll discuss jacket artists together, choosing our favorite with input from others in-house. The jacket artist will do sketches; the designer and I will review the sketches and make suggestions; usually the jacket artist will do revised sketches. The designer will choose fonts and design the jacket, and we will discuss fonts, design, etc. Meanwhile, the author, copyeditor, and I read the galleys and make any last changes. The designer will put those changes into the galleys and produce a new set for the copyeditor and me to read. Often we review many passes of galleys before everything is right. 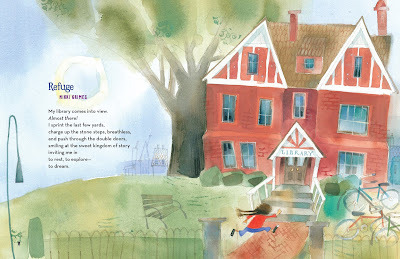 If this is a picture book, the galleys are sent to the illustrator. The illustrator will create sketches. The designer and I will go through the same sort of process with the illustrator as I went through with the author. We’ll discuss the sketches and design. The copyeditor will review the sketches too. Usually I’ll write a letter (sometimes the designer does this) compiling our thoughts on the strengths in the sketches and also our thoughts on where the sketches could be stronger and/or could work better with the text. The illustrator may then either send us revised sketches or dive into final art and send us just a few revised sketches. We have meetings to discuss production issues for the book—paper and jacket stocks and treatments (matte laminated or glossy? Coated or uncoated? White or cream? and so on…). There are also weekly production meetings to track the progress of all of our books. Sometimes we meet to discuss jacket sketches and design. I write marketing copy for the book—tip sheets for the sales force to use, catalog copy, flap copy, etc. I write a launch presentation and present the book to marketing and sales folks at our launch meeting. I read the manuscripts that other editors want to sign up and discuss them at our Editorial meeting. Sometimes I travel to conferences. And I respond to emails. Emails come in all day; sometimes I find myself in the middle of responding to four or more at once. And sometimes so many come in that it’s impossible to respond to them all and actually accomplish the work that I need to do…. We are always working on several lists at once, and in any one day, I may switch back and forth amongst any of a number of the tasks above. Besides unannounced back porch office visitors, what is one thing you especially enjoy about your job? I love it when an author surprises me in a revision, coming up with an idea, an approach, a solution that I never would have thought of and that works better than anything I’d thought of. I love a good surprise! In today’s market, children’s poetry is not in high demand. As one of few editors who acquire it, you can afford to be selective. You once said, "I love it when a poetry collection can be greater than the sum of its parts." Can you elaborate on what you meant? An individual poem can say so much and have such a strong emotional impact. But in a poetry collection the individual poems can also play off of each other in important ways, so that together they say more about a subject than each could individually. For example, in Lee Bennett Hopkins’s anthology JUMPING OFF LIBRARY SHELVES: A Book of Poems, there are individual poems that celebrate the joy of getting a library card, the wonder of listening to a storyteller, the excitement of using the library computer. But together the poems create a sense for the library as a whole—as a refuge, as a place of joy and wonder and excitement, as a home away from home. Each poem is beautiful, like a piece of glass in a mosaic; together they combine to create a larger, unique piece of art. Another example would be GRUMBLES FROM THE FOREST: Fairy-Tale Voices with a Twist, for which Jane Yolen and Rebecca Kai Dotlich wrote pairs of poems capturing different voices from 15 fairy tales. 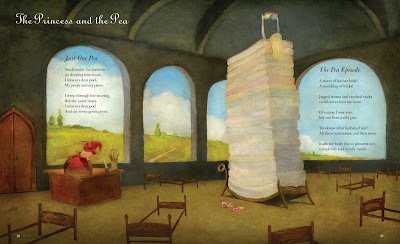 For The Princess and the Pea, there’s a poem from the point of view of the princess and a poem from the point of view of the pea. The individual poems twist the tales in intriguing ways, but together they say even more about the difference your point of view can make. "Just One Pea" and "The Pea Episode"
You've said you look for manuscripts (poetry or prose) that are fresh and eye-opening— ones that demonstrate a unique point of view. Using a few of your 2015 titles as examples, can you give us an idea of what specifically excites you about these books? 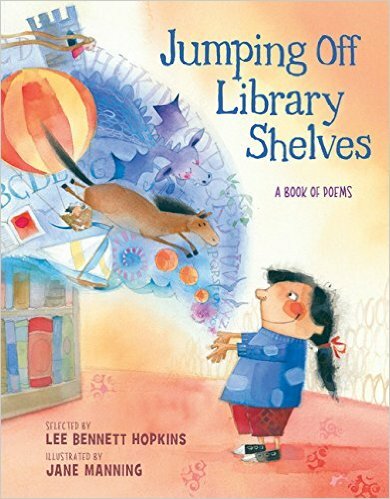 In JUMPING OFF LIBRARY SHELVES: A Book of Poems selected by Lee Bennett Hopkins, illustrated by Jane Manning, (WordSong, October 2015), I love the way this anthology celebrates so many different aspects of libraries—from the Read-to-the-Dog programs that are popular at so many libraries to books, stories, the poetry section (!) and, of course, librarians. The subject is wonderful, the poems are fresh, the illustrations are scrumptious—what lover of books and libraries could resist this? I certainly couldn’t. ONE DAY, THE END: Short, Very Short, Shorter-than-Ever Stories by Rebecca Kai Dotlich, illustrated by Fred Koehler (Boyds Mills Press, October 2015) is a unique look at storytelling. 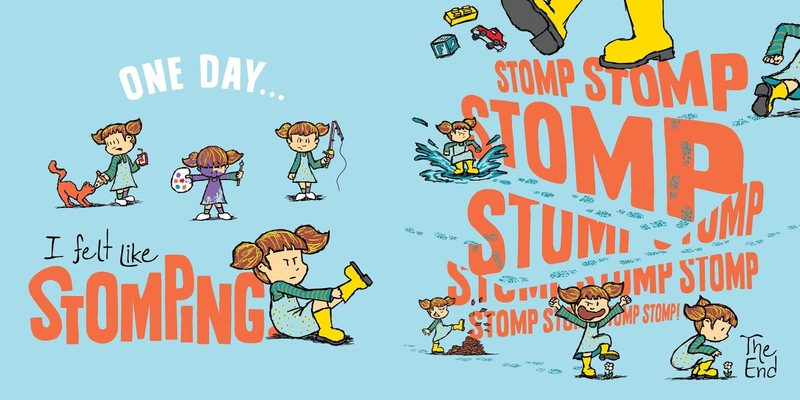 It begins: “For every story there is a beginning and an end, but what happens in between makes all the difference.“ What follows is a brilliant combination of text and art as Fred Koehler’s illustrations supply the remarkable middles to Rebecca Dotlich’s two-sentence stories. In THIS ORQ. 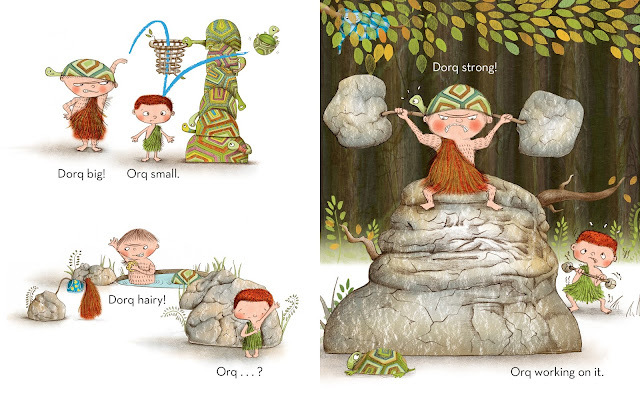 (HE SAY “UGH!”) by David Elliott, illustrated by Lori Nichols (Boyds Mills Press, September 2015), I love the voice. David Elliott writes in cave-speak in this tale, which pits Orq and his pet woolly mammoth, Woma, against a bully, Dorq, and his pet cave bear, Caba. I also adore the sense of humor and pacing in both David’s text and Lori Nichols’s expressive artwork. 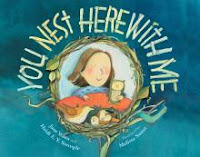 Although I didn’t edit it, I want to also mention YOU NEST HERE WITH ME by Jane Yolen and Heidi E. Y. Stemple, illustrated by Melissa Sweet (Boyds Mills Press, March 2015). I love the way this lyrical, rhyming bedtime book is an ode to baby birds everywhere and to sleepy children, safe in their own nests. It’s a beautiful read-aloud to share with a child and the artwork is stunning. Whet our appetites. What are some books we can look forward to in 2016 from Boyds Mills Press and WordSong? 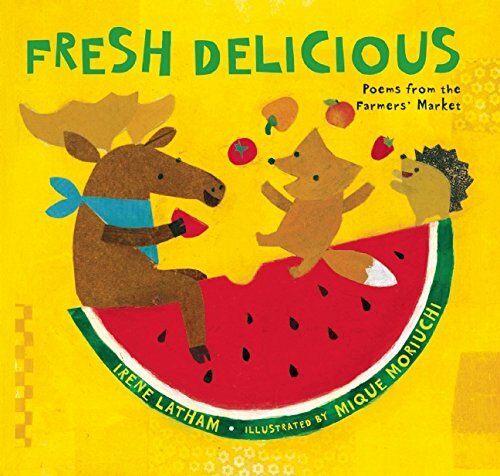 FRESH DELICIOUS: Poems from the Farmers’ Market by Irene Latham, illustrated by Mique Moriuchi (WordSong, March 2016): In this book, the poems and illustrations look at fruits and vegetables in fresh, playful ways. For instance, cucumbers are: “a fleet / of green / submarines / in a wicker / sea.” I love the sense of imagination here. There are also six (fresh, delicious) recipes at the end, featuring fruits and vegetables from the book. 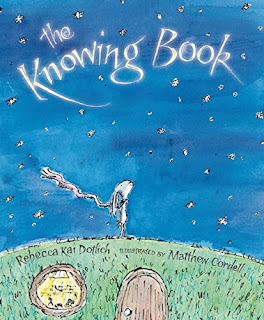 THE KNOWING BOOK by Rebecca Kai Dotlich, illustrated by Matthew Cordell (Boyds Mills Press, March 2016): Lyrical and profound, this picture book tells the story of a rabbit going on a journey and an adventure; along the way the rabbit experiences joy and sorrow and all the wonder that the world has to offer. 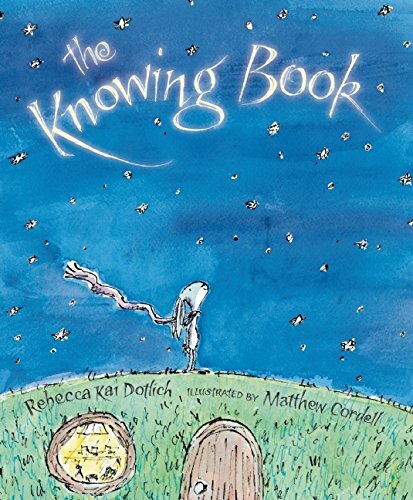 The Knowing Book is a celebration of our world, of all that you know, and of all that you will discover. QUICK, LITTLE MONKEY! 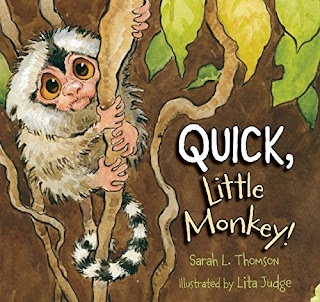 by Sarah L. Thomson, illustrated by Lita Judge (Boyds Mills Press, March 2016): This is a story about a young pygmy marmoset—the smallest monkey in the world—who falls into dangerous territory but is able to save herself using her wits, her speed, and everything her father has taught her. This story is full of drama, suspense, and emotion; it’s also a terrific read-aloud. Three of the most important things in the world are creativity, reading, and kindness. It is easy to destroy—to knock down someone’s block tower and blow something up. It is much harder and more satisfying to solve a problem creatively rather than with destruction. Reading is not only entertaining, but it can help you understand other people and their feelings. Understanding people hopefully leads to greater kindness. And kindness to others—to our friends, our families, children, animals, the world—is vital for our future. Let’s continue the theme of kindness from the previous question. Write a poem about a specific act or moment of kindness. You can write it from any point of view– as a participant, a beneficiary, or as a witness. The more specific and vivid, the better! The perfect challenge leading up to Thanksgiving! But speaking of acts of kindness . . . I hope you'll join me in thanking Rebecca for the tremendous amount of time, effort, and insight she put into this interview, and for kindly providing me with both of David Elliott's THIS ORQ books—THIS ORQ. (HE CAVE BOY.) and THIS ORQ. (HE SAY UGH. )—which I will send to one lucky DMC participant, selected randomly at the end of the month. Throughout the month, send your kindness poems to TodaysLittleDitty (at) gmail (dot) com or use the contact form in the sidebar to the right. Some poems may be published on the blog as daily ditties, but all of them will appear in a wrap-up celebration on Friday, November 27th, 2015— the day after Thanksgiving. Won't that be something to be thankful for! Thanks once again to everyone who participated in last month's challenge courtesy of Marcus Ewert. Random.org has determined that a copy of MUMMY CAT, autographed by author Marcus Ewert and illustrator Lisa Brown, is going to. . . This week's Poetry Friday Roundup is being hosted by Katya at Write. Sketch. Repeat. What Amy said! I, too, feel so fortunate to be able to work with Rebecca on my first book; she is brilliant and supportive, and we would never have connected had it not been for Lee introducing us. So many thanks to both of them - and YOU, Michelle, for this wonderful interview! I love this very detailed account of the behind-the-scenes of the publishing world from an editor's perspective! I will need to re-read this in order to process everything. Thank you, Rebecca and Michelle, for this insight! I really enjoyed learning more about Rebecca, too. I'm already laughing because Orq's big brother's name is Dorq -- my kids would die laughing at that joke! Great interview Michelle and Rebecca. I hope more teachers will come around to teaching the poets and poems they love, instead of approaching poetry as "a test of wits." What a wonderful, informative, enlightening, inspiring interview! Creativity, reading and kindness = YES! Great interview. Thank you, Michelle and Rebecca. 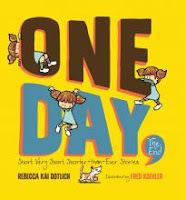 I'm excited to read ONE DAY, THE END! Wonderful interview, Michelle. 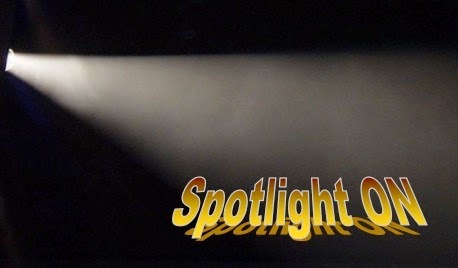 I've had the pleasure of meeting with Rebecca at a Highlights workshops, and she has been so open to all the questions anyone asked. Hearing the process of publishing makes one celebrate them even more. Thanks for the taste of what's to come too, and for the thoughtful challenge. Wow, this is a treasure trove of information! Thanks so much. This post is a keeper--as are all the books mentioned here! MICHELLE: What an extraordinary interview with an extraordinary editor. Rebecca and I go back 25 years when she began as assistant to my beloved agent, Marilyn E. Marlow at Curtis Brown, Ltd. We've produced many, many books together. We have also ventured through a lot of life's problems and pleasures. We have shared laughter galore as well as tears. She is a most important part of my life. Rebecca is among the best editors in the country, She has enhanced my life in so many ways. If there is a song in WORDSONG, Rebecca is the singer. Thank you for this feature. THANK YOU! What a lovely and loving sentiment, Lee. She IS a star... but luckily, not the diva type! Your post popped up just as I was posting mine, Maria. You have a wonderful, fun book on the list! I can't wait to see it published. Terrific, Maria! Coyote Moon or another one? It's called TERRIFIC TONGUES. It's exactly the sort of nonfiction book I loved as a kid. Michelle, thank you so much for such a lovely, handsome-looking interview, for making the whole process fun--and as stress-free as possible, for your warmth, and for all that you're doing for children's poetry! It was a pleasure meeting you in Florida, and I'm happy you invited me to be your guest here. Thank you, too, for your sweet words above. And I thank your readers for their kind words. I'm blushing! 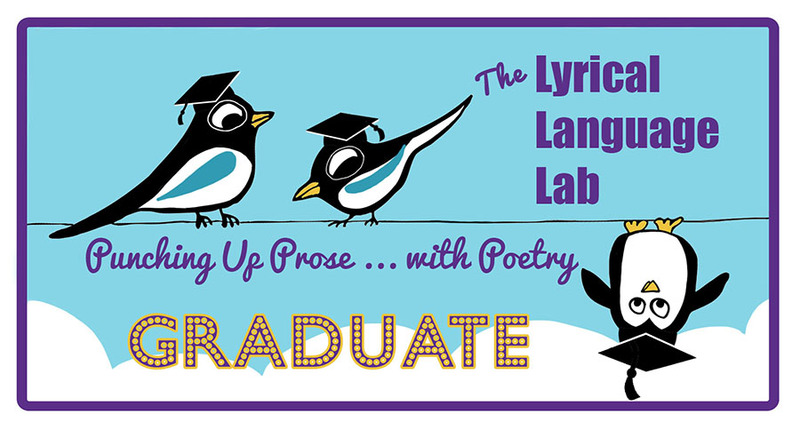 Amy, Matt, Lee, it's an honor and a joy to work with all three of you talented poets. There's a lot of kindness in this room. :) And, Lee, I'm speechless. You are sweet. However, my daughter, who forbids me to sing and complains every time I do, would certainly disagree with you! 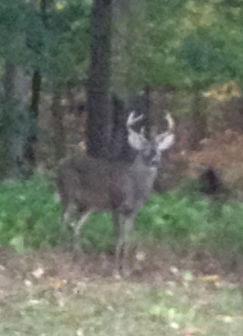 That deer is visiting again today; he brought a lady friend with him, who is resting in the shade of a tree. I wish you all a peaceful weekend. Your deer friends remind me of a B&B where we stayed in the Australian wine country. There was a wild kangaroo who lived there– Chloe was her name. She decided she was the family pet and hung out in their garage when it rained. I love your Chloe story, Michelle! I once visited Australia and adored seeing the kangaroos. They reminded me, too, of deer, the way they flocked out along the roads at dusk. I adore working with you, too, Irene! Wonderful interview, Rebecca and Michelle! So interesting to hear you reflect, Rebecca, on the "behind-the-scenes" at Boyds Mills and Wordsong! I'm so glad you discovered that you love poetry and happy are we poets to have you at the helm! <3! Now I want to go back & read everything here again. Delighted you were able to take so much goodness from this post, Jan! It was a poetry-drenched day, wasn't it? Most happy-making. Thanks so much to both Michelle and Rebecca for this terrific interview. I enjoyed every word. Thank you, Rebecca! I enjoyed reading about your job! So much care and passion goes into each book. I'll appreciate the stack I brought home from the library a little more today. Wow--this interview is a treasure trove! Thank you Rebecca and Michelle. Thank you, Michelle and Rebecca, for this informative & inspiring interview! I'm looking forward to Irene & Rebecca's new books, and Quick, Little Monkey sounds wonderful, too. Writing a poem about kindness is a perfect choice for November. Such a rich interview chock full of wonderful authors/poets/ illustrators and information! Many thanks Rebecca and Michelle. Loved reading this interview! So many big ideas and great new titles! Thank you! 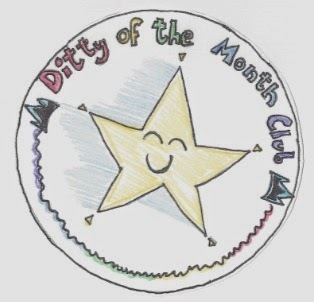 And one of these months, I am going to enter a ditty! Oh, I know, Tabatha! Between that and the photo, I so wanted to reach out and hug that little girl. You always do the best interviews, Michelle! And Rebecca, thank you for the peek into your work, your process, your piles (mine say hello to yours) and your back porch (plus visitors)! Looking forward to a month of kindness poems! Late to the party - I was presenting poetry at a Lit Festival this weekend in the next state over! - but so thrilled to read this insightful interview. Rebecca, it was a pleasure meeting you up in PA at a Founders conference, and I appreciate your thoughtful and candid responses here to Michelle's great questions. Thanks for all you do for poetry - all these featured books look great; I've had wee sneak peeks into Rebecca KD's and Irene's and can't wait til they're out in the wider world. Three cheers for poetry, and kindness too. I dropped in to read the new comments, and I thank you all for being so welcoming. It's a pleasure to visit with you. I look forward to your kindness poems! Happy Monday! I missed this, Michelle. Fabulous post. Oh, Rebecca, what a terrific reminder about kindness and poetry. The two go together hand in hand. What an informative interview. Thanks so much Michelle and Rebecca. And what a nice list of books. I've read some of them and look forward to reading the others. Oh, I'm so, so late! But I'm so happy I came. What a great interview. It's so wonderful to hear from Rebecca and see where she likes to work and get a little taste of so many fabulous books! Thank you Michelle and Rebecca! Oh Michelle and Rebecca. This birds eye peek into the editing process is so vital to those of us who would like to soak up as much book knowledge as possible. Thank you both for the interview! Feel inspired. :-) BARNES and DAVIS POWER!!!!!!! I really enjoyed this article. It's a bit dated now, but it gave me a lot of insight into the world of editing and publishing. Thank you, Rebecca M. Davis!